We are so grateful to have had Martha Mendelsohn, author of Bromley Girls, host a booksigning at Book Culture on Columbus! Martha Mendelsohn has worked as a translator for the French Embassy, an editorial assistant for Holt, Rinehart and Winston, and associate editor of Tikkunmagazine. Her fiction and non-fiction have appeared in Tikkun, The New York Times, Moment, Beliefnet.com, Jewishmag.com, and The Jewish Week. She lives with her husband on Manhattan’s Upper West Side. In celebration of the publication of Bromley Girls, we had the chance to interview Martha on her writing and personal reading. 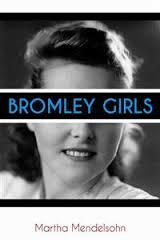 How did you come to write Bromley Girls? I’ve almost finished Edith Pearlman’s remarkable short story collection, Honeydew (which I bought at Book Culture), and plan to read A Spool of Blue Thread by Anne Tyler next. At the same time, I’ve been re-reading The Group by Mary McCarthy. I have a favorite, most intense reading experience—the rainy Saturday afternoon I read Wuthering Heights from cover to cover. I was 12. I’m not sure it’s remained my favorite book, since I’ve read so many wonderful novels, both classic and contemporary, since then. Among the more literary and highbrow, Faulkner’s As I Lay Dying is a favorite, along with I was Amelia Earhart by my stepdaughter Jane Mendelsohn; among the more low-brow, Marjorie Morningstar by Herman Wouk remains beloved. Safekeeping, a novel by Jessamyn Hope (June); Girl of My Dreams, a novel by Peter Davis (May); and Year of the Dunk (May), a non-fiction work by Asher Price. Yes! I considered, but rejected, the possibility of continuing with the characters in Bromley Girls. Instead, I’ve begun a contemporary novel for adults, also set in New York City, featuring four women who know each other from summer camp. Copyright 2015 Martha Mendelsohn (All Rights Reserved). Website consulting by Tamara Olson Designs.